We try very hard to provide a reasonable challenge for the sportive riders, without forgetting the riders doing shorter distances who we wish to encourage, as they are the sportive riders of the future. We think that we have got the balance just about right, and are very lucky to be able to do so in such a beautiful setting. 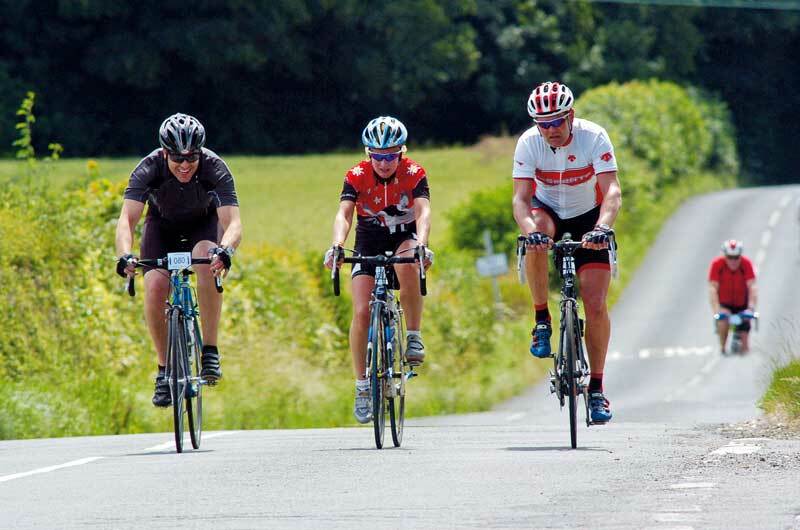 We look forward to returning to the area for our Test Sportive and Challenge on Sunday September 27 near Andover. 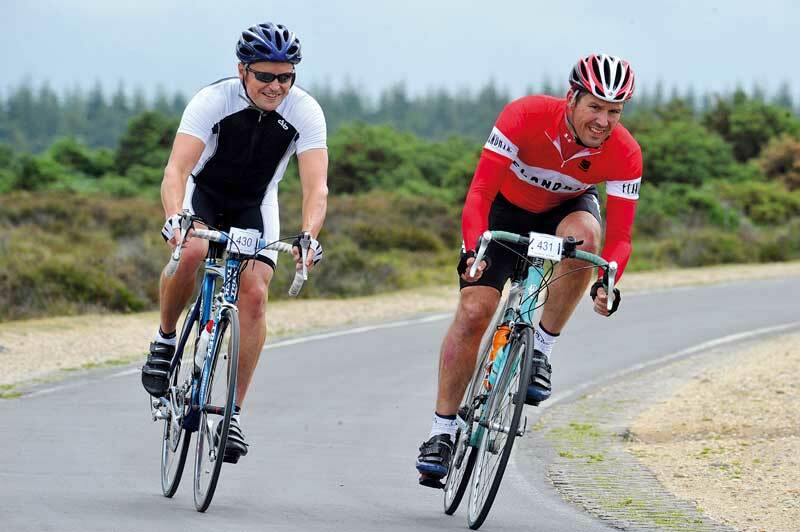 The Test Valley Tour New Forest Sportive, Challenge and Tour Road Rides last Sunday attracted riders of all ages and abilities, from the keenest of road riders through to riders on hybrids, mountain bikes and even tandems. The event started and finished at the Sir Harold Hillier Gardens near Romsey which has showers and toilets, a shop and a cafe which served up delicious food and drink to the returning riders. 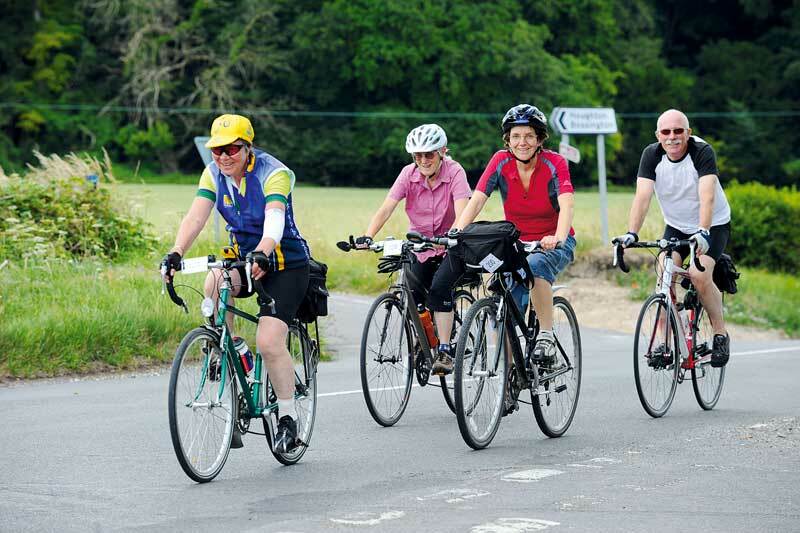 The 150-kilometre sportive was a good test of fitness as it wound its way through the New Forest with its wandering ponies and picturesque villages. The route headed north toward Salisbury to eventually join up with the 100-kilometre route and then wound back into the Test Valley. Along all the routes were friendly staff at water and food stops giving out lots of water, energy drink, food and encouragement and travelling marshals ensured that all went smoothly. The weather was cooler than of late, and a stiff wind from the south sometimes made the ride hard going at times, but when it turned into a tailwind it was fantastic and a great help, resulting in some sub five-hour finish times on the sportive. In total some 450 riders took part in the event and virtually everyone finished. Of those 150 rode the sportive, with the remainder a fairly equal split across the Challenge and Tour distances of 100 kilometres and 50 kilometres. Gerry Le Marquand who is a member of Berks on Bikes was the oldest rider in the event taking just over eight hours to complete his 150km. Several families also took part in the 50-kilometre Tour and headed off for ice cream tired but happy at the end. Sportive riders received a commemorative medal as they finished and Challenge and Tour riders received a finishers’ memento. Everyone who wanted one was also able to have a free sports massage at the end of their ride. All riders also received a two-for-one voucher so that they could return to the Gardens at their leisure. I originally entered the New Forest 100km sportive as a way of getting a good ride in with my brother and as a great training ride for the Antwerp Ironman 70.3 on August 2. The ride ticked all the boxes as it had some flat and fast roads along with some challenging, sharp climbs and technical descents Great ride and great preparation for the next race! I am a member of Berks On Bikes Mountain Bike Club (www.bobmbc.com), therefore not a roadie but I like a challenge. I felt a little out of place with my heavy mtb hardtail with slicks and my baggy shorts. However the route was fantastic with some stunning scenery. I completed the 150km in 7-03 but I think I will stick to my day job -mtb trainer at Swinley Forest! I rode the event with my colleague from Centrica, Alan Thompson, as training for our forthcoming London to Paris Challenge ride in September in aid of the CLIC Sargent Cancer Charity. The day was hard work but a lot of fun with a friendly bunch of riders. The climbs were tough but the downhills were fast. It was our first challenge ride of this kind and we were pleased with our finishing time. I had been looking forward to this event as I have wanted to ride in this area for some time. Turning up at the event HQ, I immediately got the feeling that this was going to be quite a chilled event and a good day out. There were plenty of riders of all abilities milling around and there wasn’t the usual mad rush to get to the start line and out on the road. At the start I joined in with a group from Newbury who were out for the enjoyment as much as the challenge. The first hour breezed by until we hit the first hill on the course and the short sharp rise was worth it for the view on the top. Remembering the route profile, I realised that all the climbs on the course were going to be like this and that there was not going to be the usual grinds later on in the course. The organisers were true to their word and the next hour flew by on fast roads with only a few rises. The first feed stop was followed by a slight rise but then came two hills in quick succession which was a bit of a shock as the course had been pretty flat up until now. Swooping along country roads, cattle grids and wandering ponies helped to keep the mind concentrated until we reached the second feed. From here it was 25 kilometres back so everyone was keen to get going. Not stopping at one of the many cafes in Stockbridge was my biggest challenge of the day but we were too near the finish to stop. This isn’t the usual sportive type course with plenty of big climbs but one which I really enjoyed and will definitely come back to.